It’s not easy improving on a super lightweight biner like the Phantom, but that was DMM's goal when they started to design the Alpha Light. They wanted all the weight advantages of the Phantom, but with better handling and a bigger gate opening. So they kinked the backbone to increase the gate opening and put a grooved pattern on the outside of the biner under the natural holding positions. The functionality improvements did not end there though – a clean nose design was also added to reduce snagging when clipping or unclipping. 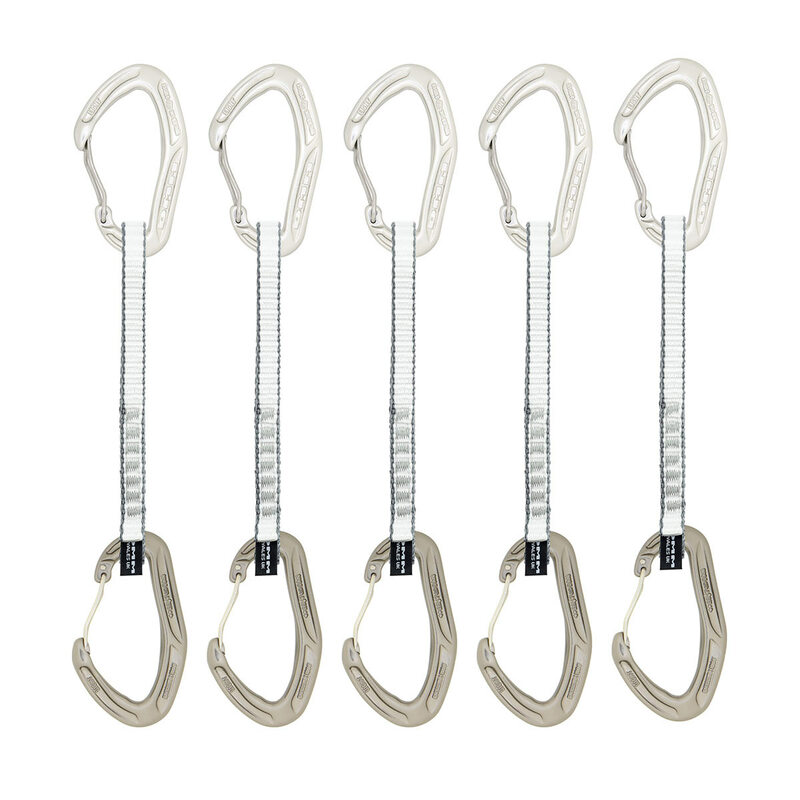 The Quickdraw features 11mm Dyneema webbing with a Rubber caption device sewn in. Price for 5.